Dr. O’Dea has played leadership roles in building and financing companies that have created more than $3 billion in shareholder value. Experienced across the entire industry spectrum, from discovery to development and operations, he builds strong organizations based on high-quality projects and run by technical leaders. Most recently, Dr. O’Dea co-founded and served as executive chairman of True Gold Mining. After building the Karma Heap Leach Gold Mine in Burkina Faso, West Africa, True Gold was sold to Endeavour Mining in 2016. As co-founder and CEO of Fronteer Gold, Dr. O’Dea grew the company from startup to its 2011 sale to Newmont Mining Corp., a deal that included the spin-out of Liberty Gold. He also co-founded and served as CEO of True North Nickel and Aurora Energy, sold to Royal Nickel Corp. and Paladin Energy in 2014 and 2011, respectively. Founder of Oxygen Capital Corp., Dr. O’Dea is currently chairman of Liberty Gold and director of Pure Gold Mining and NexGen Energy. 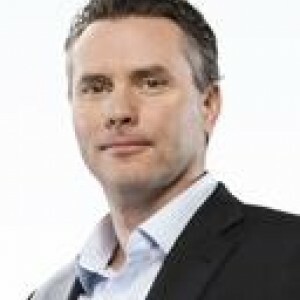 His many honours include EY’s Entrepreneur of the YearTM for 2014 in the Pacific mining and metals category, the Globe and Mail’s Top 40 Under 40, and the Association for Mineral Exploration British Columbia’s Murray Pezim Award for perseverance and success in financing mineral exploration.